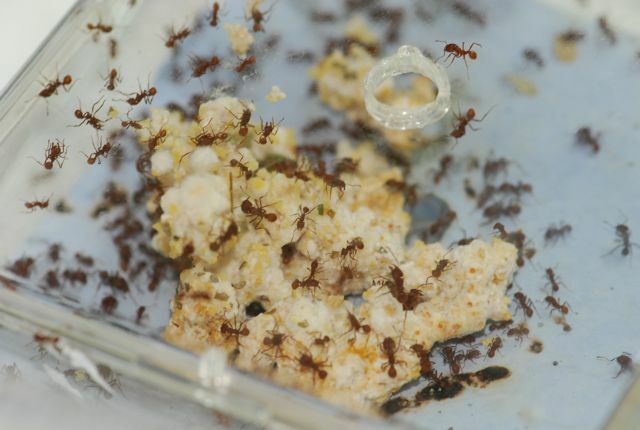 If you live in the San Francisco area and are interested in citizen science, you might want to check into the California Academy of Science’s Bay Area Ant Survey. 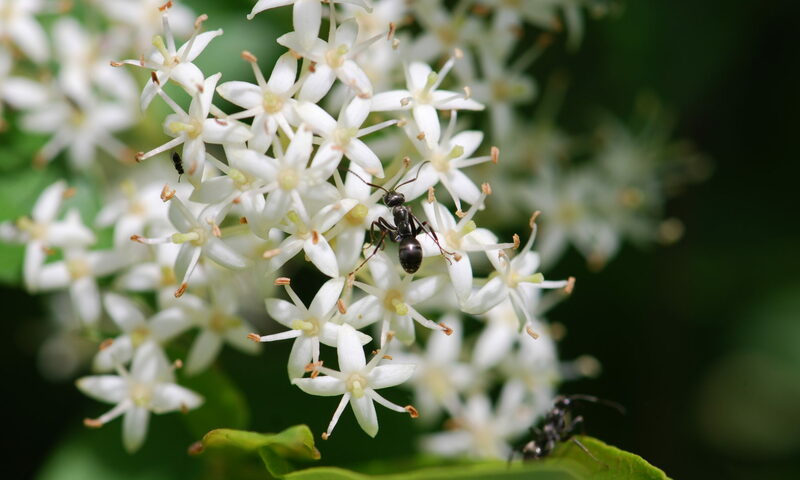 First you need to request an ant collecting kit from the Naturalist Center (see information at the link above). Then collect ants. 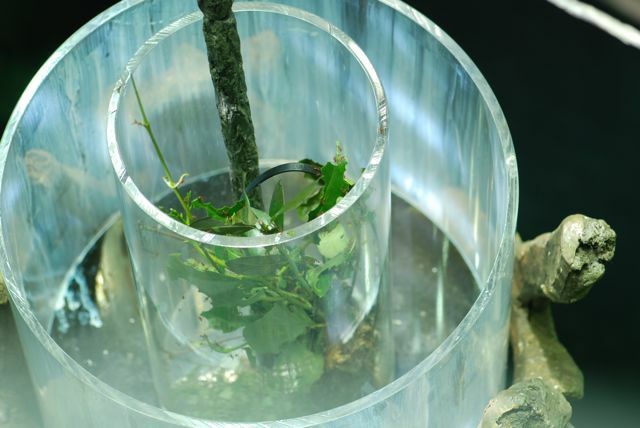 When you are done, send your ant-filled vial and data sheet back to the Naturalist Center. 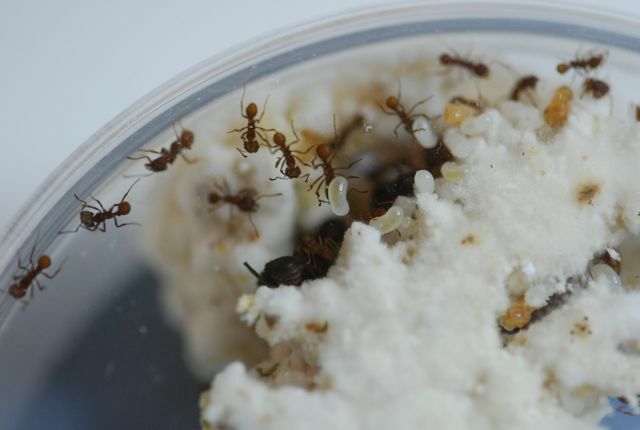 Results will be uploaded to AntWeb and your contribution will become part of the scientific record. Cool! If you are a teacher in the Bay area, and you would like your class to participate, ant collecting kits are available. 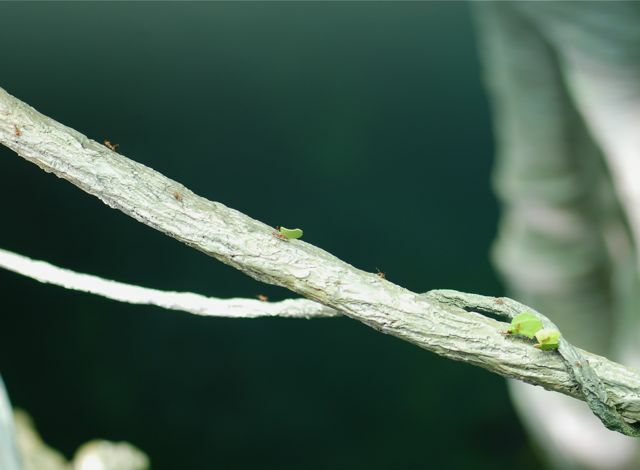 Have you seen the leafcutter ant exhibit at the California Academy of Sciences in Golden Gate Park? 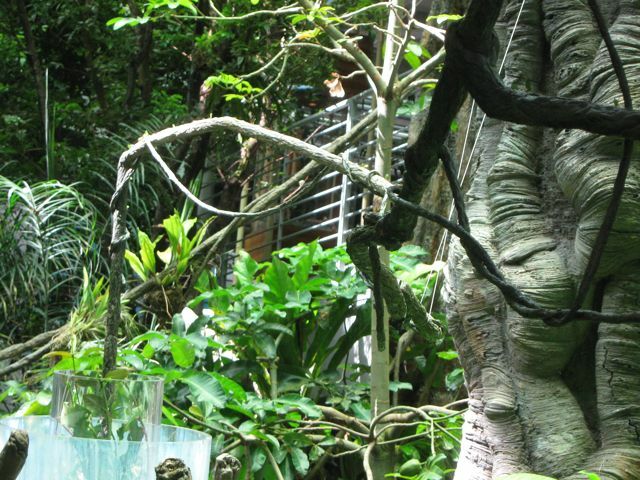 It is in the 4-story rainforest. The food is added in a clear plastic container. The ants then trail back a fake vine back to the nest display area. 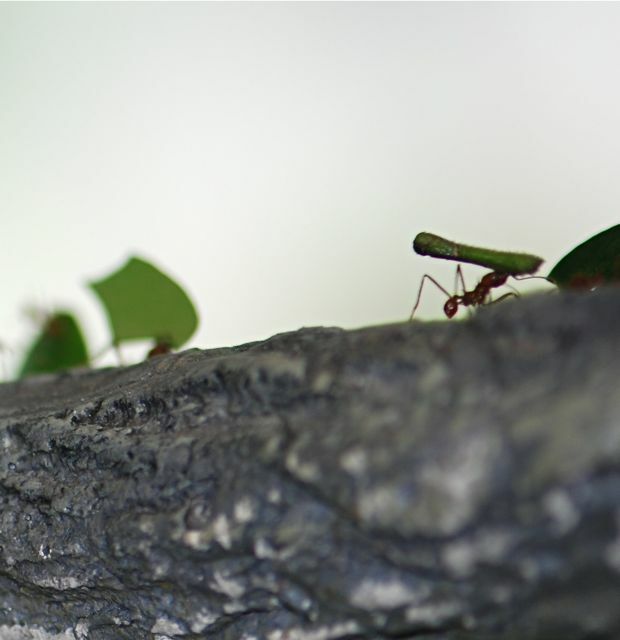 Leafcutter ants are cool to watch no matter what the circumstances. Don’t expect to get spectatcular photographs, however, because flash photography is prohibited. I am always surprised, however, at what the fungus garden looks like. I guess I expect a fungus garden to look, well, moldy. Instead it looks like fresh, white cotton batting. In this case the yellow is corn meal they are using as substrate for the fungus. Do you know if anyone has ever tried tasting it? Aren’t leafcutter ants amazing?